Two stars of the reality TV show "I'm a Celebrity ... Get Me Out of Here" have been charged with animal cruelty after allegedly killing and cooking a rat to eat during filming. Chef Gino D'Acampo who won the viewer-feedback contest series, and actor Stuart Manning were charged after animal welfare activists lodged a complaint about a segment for the British TV program, which was filmed in Australia, the activists and British media reported Sunday. In a statement to The Associated Press, New South Wales state police said Sunday that two men, aged 33 and 30, were charged with animal cruelty for acts in connection to the program but did not give names or other details. They have been asked to appear in court to face the charge on Feb. 3. The maximum penalty is three years in prison. D'Acampo is 33 years old and Manning 30. According to a report in "The Australian", D'Acampo said in his video diary for the show: "I saw one of these rats running around. I got a knife, I got its throat, I picked it up." 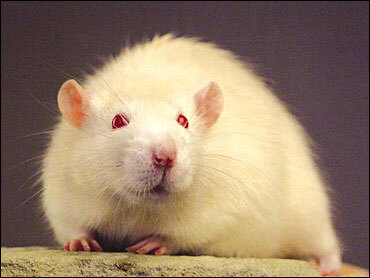 The report states that D'Acampo skinned the rat and made a risotto out of it. "It was the best recipe I ever did. It was beautiful," the chef later said, according to the newspaper, which also reported that Manning and others in the made-for-TV camp ate and enjoyed the dish. The show's producer, ITV, confirmed in a statement that "the New South Wales RSPCA are currently looking into an incident in which a rat was killed in the camp." "The killing of a rat for a performance is not acceptable. The concern is this was done purely for the cameras," David O'Shannessy of the New South Wales RSPCA told the British Broadcasting Corp. He said producers were normally required to have animal welfare officers on set when animals were used during filming, but in this case it did not take place. "I'm a Celebrity" strands C-list celebrities in the Australian jungle, subjects them to a series of icky trials involving spiders and snakes, and allows the public to vote them off the show one by one.